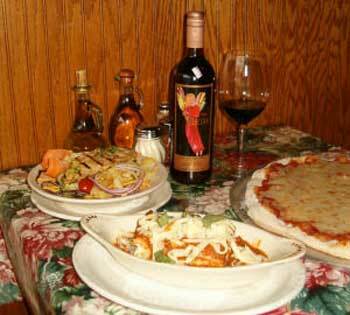 Ludington is so lucky to have a quality Italian restaurant like Luciano's, located right downtown. They offer authentic dishes from Europe's Mediterranean region, such as Chicken Picata, Veal Luciano, white pizza, and a variety of pasta. The cozy interior, delicious food and friendly staff make you feel right at home. Luciano's recently expanded their business, allowing even more seating room. Lunch, dinner, cocktails...Luciano's will never disappoint. Every Friday and Saturday starting at 6:30pm, stop into Luciano's for an evening of fun, jazz, pizza, and pasta. Enjoy jazz and rhythm and blues music while you dine. As you relax over a cocktail, beer or glass of wine, start with a tantalizing appetizer, such as calamari, mussels or bruschetta. Your choice for an entree may be difficult, with the variety offered by Luciano's. Italian fare includes ravioli, manicotti, spinach linguine, fettuccine alfredo, pizza, and much more. Luciano's also serves beef tenderloin, New York Strip steak and shrimp scampi. Homemade soups like minestrone are always available, as are fresh garden salads. On the lighter side, choose a tasty sandwich like Club Turkey or Italian Beef. Luciano's always uses organic meat, and you can request whole wheat bread, pasta and pizza. Top off your meal with tiramisu, baklava, cheesecake, or spumoni ice cream. Luciano's is family-oriented, and children can order from the kid's menu. Luciano's offers one of the largest wine selections in Ludington featuring the most popular vineyards from around the world. Any wine in their retail market can be ordered online, purchased to go, or enjoyed with your meal in their Italian restaurant. 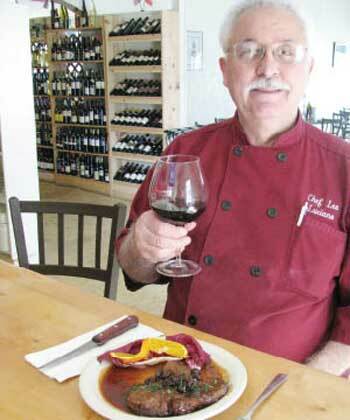 Luciano's periodically offers special wine tasting events, sponsored by the West Michigan Society of Food and Wine. Paired with Chef Leo's culinary masterpieces, these are extremely popular and each event fills up fast. Luciano's now has two banquet rooms that are perfect for your next party or reception. The downstairs room has a warm, Tuscan decor and can seat up to 50 people, and the newer room can seat up to 100. Buffet style is also available. If holding your event outside Luciano's, they can cater anything from rehearsal dinners to reunions for up to 500 people. Ask to see their special catering menu, and you're sure to wind up with a meal your guests will long remember. Any night of the week...choose Luciano's Ristoranti for a truly satisfying and delicious meal.